This app has been developed primarily for research and teaching purposes and has a relatively plain graphical interface to facilitate this. The output of each test will show the total score, total number of responses, accuracy, average time per response and average time per correct response. The timer can be set anywhere from 0 to 99999 seconds i.e. nearly 28 hours. 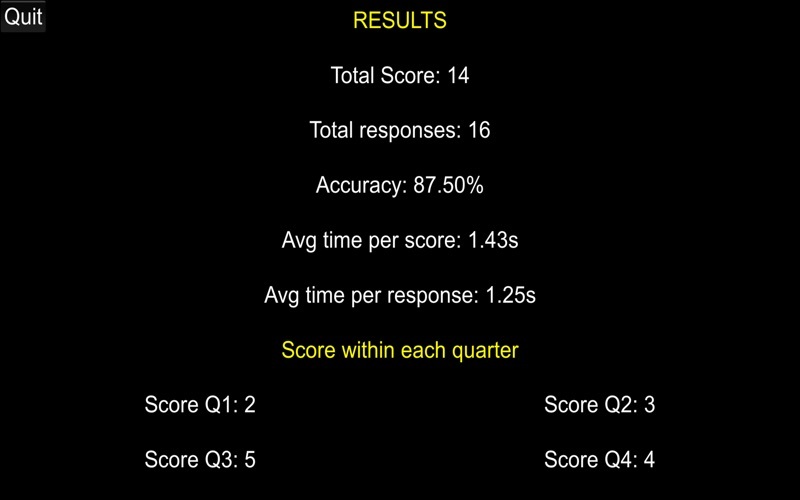 Regardless of the timer that is set, the results will also show how many correct responses were achieved during each quarter of the test duration e.g. for a test duration of 20 seconds, the Q1 output will be the number of correct responses between 0-5 s, Q2 will be 5-10 s, Q3 will be between 10-15 s and Q4 will be 15-20 s. There is no need to select a timer that is a multiple of 4 as the app will still work out results from partial seconds if needed. 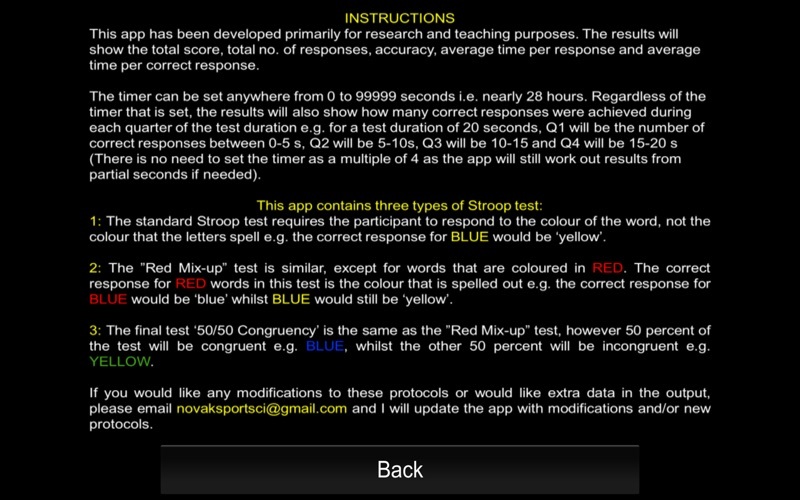 The app currently contains 3 types of Stroop test but will be updated in future depending on the needs of researchers and teachers. 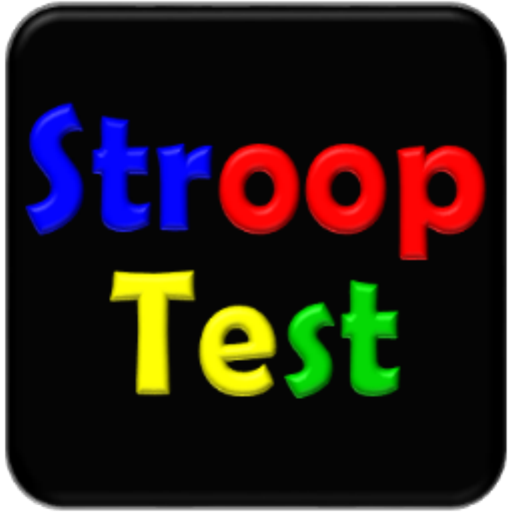 1: The standard Stroop test requires the participant to respond to the colour of the word, not the colour that the letters spell e.g. the correct response for the word "BLUE" written in yellow colour would be "yellow". 2: The "Red Mix-up" test is similar to the standard test, except for words that are written in red colour. 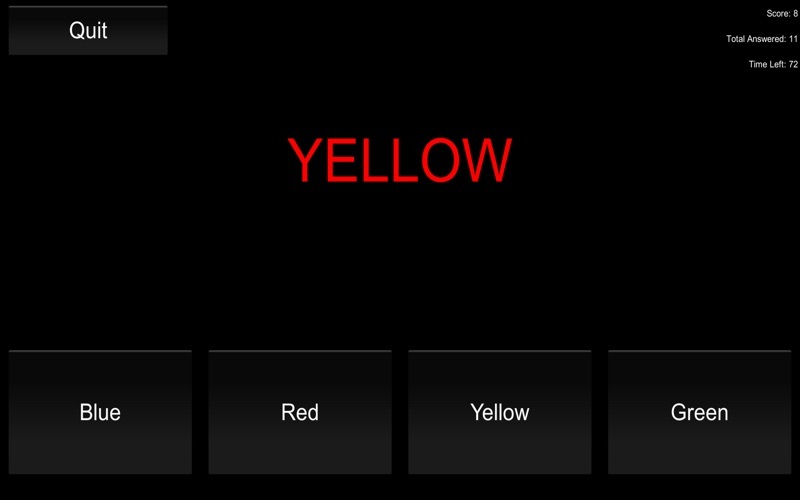 For these words, the participant needs to respond to the colour that is spelled by the letters e.g. the correct respond for the word "BLUE" written in red colour would be "blue". 3: The final test "50/50 congruency" is the same as the "Red Mix-up" test, however 50 percent of the test will be congruent e.g. the word "BLUE" written in blue colour whilst the other 50 percent will be incongruent e.g. the word "YELLOW" written in green colour. If you would like any modifications to these protocols or would like extra data in the output, please email novaksportsci@gmail.com and I will update with modifications and/or new protocols. Fixed minor bug for some high resolution devices. 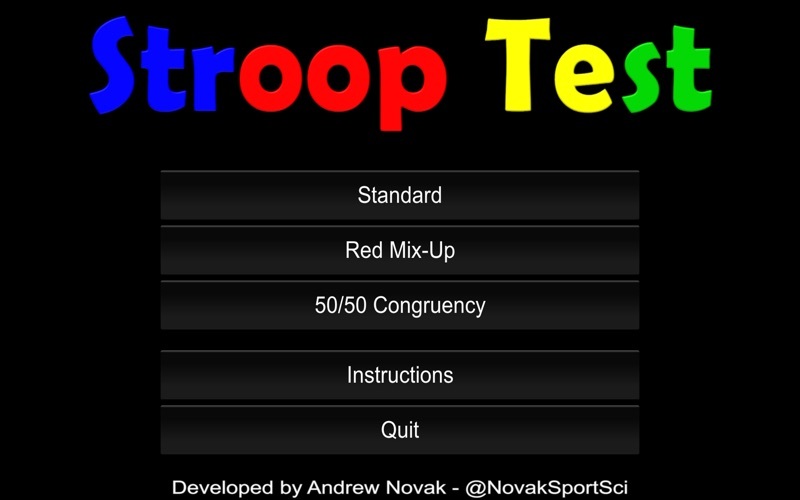 Fixed bug causing normal Stroop Test to jump to alternate version. Set Default Timer of 60 seconds and 6 quick timer options.